Welcome to Music Friday when we bring you throwback songs with jewelry, gemstones or precious metals in the title or lyrics. 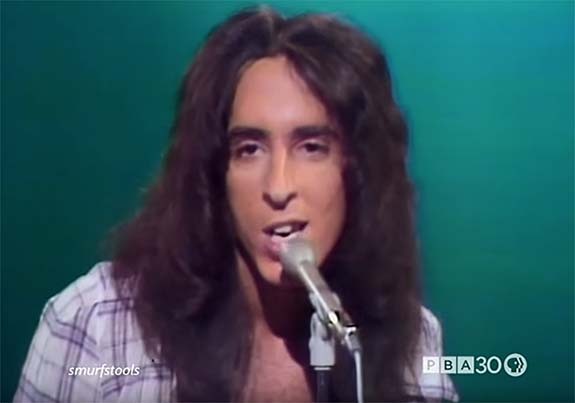 Today, Elliot Lurie and the Looking Glass perform their 1972 chart-topper, "Brandy," a song about a barmaid in a harbor town who wears a very sentimental piece of neckwear as a constant reminder of the sailor who won her heart. Lurie sings, "Brandy wears a braided chain / Made of finest silver from the North of Spain / A locket that bears the name / Of the man that Brandy loved." Brandy fell in love with the sailor on a summer day when he arrived with gifts from far away. But, he also made it clear that he couldn't stay because no harbor could be his home. He tells Brandy that his life, his lover, his lady is the sea. Since its release in the early 1970s, "Brandy" has been the subject of a spirited debate. Some music historians speculated that the hapless heroine, Brandy, is based on the legend of Mary Ellis, a New Jersey spinster who fell in love with a sea captain in the late 18th century. She was promised marriage, and Ellis waited for her captain until her death, but he never returned. This story may have caught the ears of four students of Rutgers University, which is just two miles from Mary Ellis’s final resting place. These students ultimately became the founding members of the Looking Glass in 1969. The story sounds compelling, but Lurie, who penned the tune, has refuted any link to Mary Ellis. The song, he said, is based on the name of his high school sweetheart, "Randy." "Brandy" soared straight to #1 on the U.S. Billboard Hot 100 chart and has been used in the soundtracks of numerous films, including Charlie's Angels (2000). 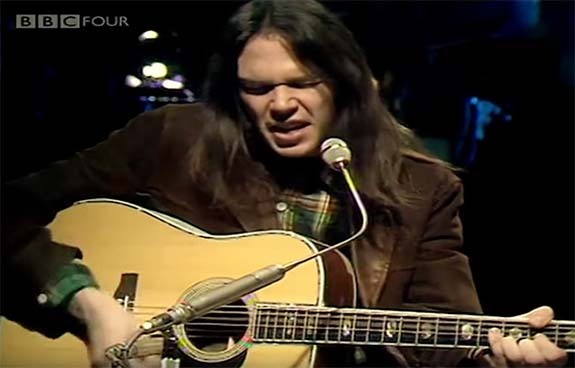 Interestingly, "Brandy" was originally buried on the "B" side of the Looking Glass song, "Don't It Make You Feel Good." The group has to thank Washington, D.C., program director Harv Moore for giving the "B" side heavy airplay and creating a phenomenon that would spread nationwide. Moore noted that when the Top 40 station WPGC AM/FM started playing "Brandy" in one-hour rotations for two days, "the switchboard lit up like a Christmas tree." Written by Elliot Lurie. Performed by The Looking Glass. "Yeah, your eyes could steal a sailor from the sea"
"But my life, my lover, my lady is the sea"
Style icon, cover girl, runway model and reality star Kendall Jenner dished to Elle.com on Tuesday that when it comes to picking an engagement ring, she'd rather be surprised by her boyfriend than make the selection herself. She did add, however, that she'd likely drop him a bunch of hints along the way so he gets it right. When Elle.com asked, "Are you someone who wants to pick out your engagement ring or do you want to be totally surprised?" the statuesque 23-year-old said, "I mean, I kind of love the idea of letting the man pick it and having it be that pretty thing that he kind of thought of himself." There's something "kind of romantic" behind the idea that her boyfriend was involved in the design concept of the ring, she said. "But at the same time, I'm the type of person that would give hints and be like, 'I kind of want this.'" 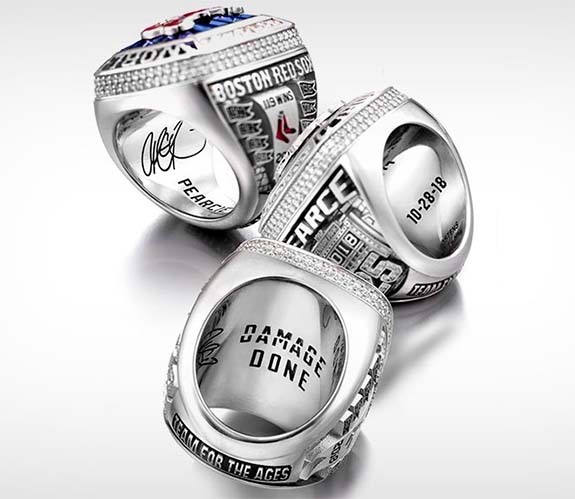 When the Elle.com interviewer suggested that Jenner could DM (direct message) pics of potential rings to her boyfriend, NBA pro Ben Simmons, the star of Keeping Up With the Kardashians chuckled and said, "Totally." With a huge social media following, including 108 million on Instagram alone, Kendall is a high-profile lifestyle influencer of young women from coast to coast and around the world. When asked if there is one piece of jewelry she can't leave the house without, Jenner explained she'll usually throw on a pair of earrings if she's feeling "a bit spare." "I think that's the easiest thing to get away with if you don't want to wear too much," she said. Jenner also revealed that she and her siblings have their eyes on the extensive jewelry and watch collection of their mother, Chris Jenner. Credit: Image by https://vimeo.com/jonathanemma [CC BY-SA 3.0], via Wikimedia Commons. When the legendary "Jonker V" diamond appeared at Christie's Hong Kong in May of 2017 with a pre-sale estimate of $2.2 million to $3.6 million, some gem experts expected the stunning 25.27-carat emerald-cut gem to yield much more — and they were right. Surpassing the high estimate by nearly 50%, the Jonker V was purchased by an undisclosed buyer for $5.3 million. On May 15, the Jonker V, one of 13 magnificent diamonds cleaved from the famous 726-carat Jonker rough more than 85 years ago, is set to make an encore appearance at Christie's Geneva. The gem boasts a D-color and VVS2 clarity grading. In its rough state, the Jonker V weighed 54.19 carats, more than twice its finished weight. Surprisingly, the auction house's pre-sale estimate for the current offering reverts to the range promoted in 2017. Christie's believes the May 2019 hammer price will be in the neighborhood of $2.5 million to $3.5 million. A representative from Christie's told us that the estimate reflects the current market value for a gem of that size and provenance. She noted that a bidding war among buyers in 2017 was likely responsible for inflating the Jonker V's sale price well beyond the high estimate. We'll be watching to see if another bidding war escalates the price in Geneva next month. What makes the Jonker V so special is that it carries a rich history that connects many of the jewelry-industry's most colorful characters. On January 17, 1934, a rough diamond the size of a hen’s egg was pulled from a bucket of gravel at the Elandsfontein claim, 4.8 kilometers south of the Premier Mine in South Africa. The massive 726-carat rough diamond with a frosty ice-white color would take on the surname of Jacob Jonker, the 62-year-old digger who owned the claim. At the time, the Jonker was the fourth-largest gem-quality rough diamond ever unearthed. Diamond experts speculated whether the 63.5mm x 31.75mm Jonker and the 3,106-carat Cullinan Diamond had once been conjoined, as their respective cleaved faces seemed to match up perfectly. The Cullinan Diamond had been discovered at the nearby Premier Mine 19 years earlier. The Jonker rough was acquired by De Beers chairman Sir Ernest Oppenheimer and subsequently caught the attention of diamond dealer Harry Winston, who purchased the rough stone in 1935 for £75,000, the equivalent of £9 million ($11.7 million) today. The Jonker diamond earned celebrity status when it was displayed during the Silver Jubilee Celebrations of the Coronation of King George V and Queen Mary in May of that same year. The next year, Winston contracted Lazare Kaplan to cut 13 finished gems from the original rough. 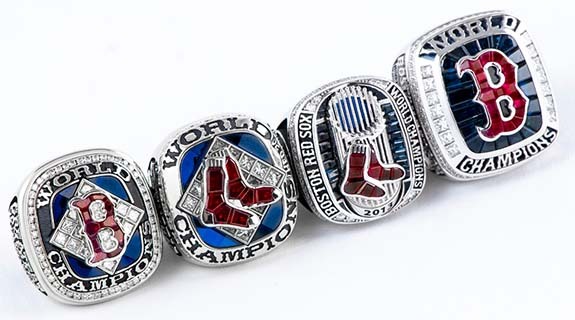 The Jonker finished diamonds were each named with a Roman numeral, in size order. The largest was the Jonker I at 142.90 carats and the smallest was the Jonker XIII at 3.53 carats. According to a May 1954 article in The New Yorker, Kaplan earned $30,000 for the prestigious assignment (that's equivalent to about $280,000 today). 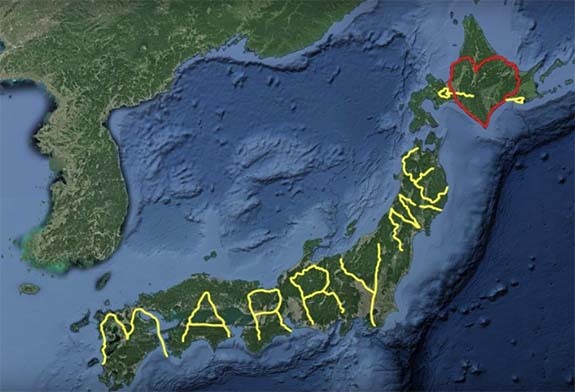 Yasushi “Yassan” Takahashi, the GPS artist who famously zigzagged 4,500 miles across Japan in 2010 to spell out a marriage proposal for his girlfriend, is back in the news — thanks to Google. When the Tokyo resident completed his six-month journey from the island of Hokkaido to the shores of Kagoshima, he uploaded his route to Google Earth. The result were the words "Marry Me" in all capital letters punctuated by a heart. The rendering looked like a global-scale version of an Etch-a-Sketch. Leaving his girlfriend and job behind, the artist embarked on the trip via foot, bicycle, car and ferry, often fighting bad weather and spending nights in the back of his vehicle. In the end, the endeavor was well worth it, as Yassan had a new bride, a Guinness World Record for the largest GPS drawing in history and an experience of a lifetime. He said he got to see the Japan that he only knew in books. Hassan's girlfriend, Natsuki, told the China Morning Post, "It was a big surprise. I felt the greatest love in the world." Although it's been nearly nine years since Yassan set off on his monumental trip, the GPS artist is back in the news because Google recently featured him in the "Our Stories" section of its official website. In a piece focusing on the growing number of people who are creating GPS art with Google Earth and Google Street View, the internet behemoth explained how runners and cyclists use it as a motivation to change up their routes. Others are enjoying the challenge of creating GPS-generated drawings of everything, from pigeons and dinosaurs to fictional characters. The only limitation to this fascinating fusion of drawing and travel, says Google, is what people can dream up and where their feet can take them. Credits: Screen captures via YouTube.com/Google. Back in November, luxury jeweler Laurence Graff revealed that the massive 1,109-carat rough diamond named Lesedi La Rona had yielded 67 "satellite" diamonds ranging in size from just under 1 carat to more than 100 carats and teased that "a principal diamond of unprecedented size" was still in the works. 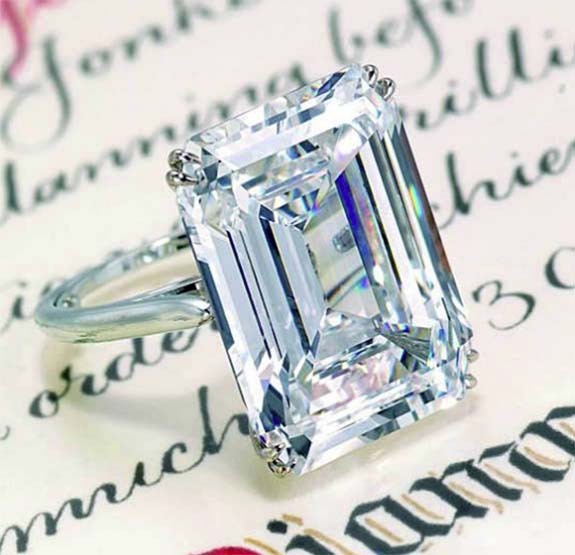 Last week, Graff finally unveiled that principal diamond — a 302.37-carat square emerald-cut stunner that is said to be the largest D-flawless gem ever certified by the Gemological Institute of America. The jeweler named the gem the "Graff Lesedi La Rona" and proclaimed it "one of the greatest diamond achievements in history." "My love affair with diamonds is life-long, and crafting the Graff Lesedi La Rona has been an honor," the jeweler said in a statement. "This diamond is beyond words. We had an immense duty to cut the very, very best diamond imaginable from this rough. 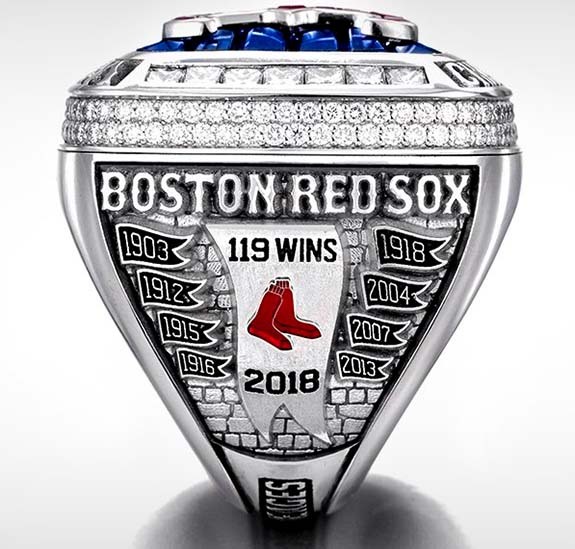 All our expertise, skill and accomplishment went into crafting this incredible diamond masterpiece, which is extraordinary in every way." At first blush, Graff's gemologists believed that a 300-carat principal diamond wasn't possible. 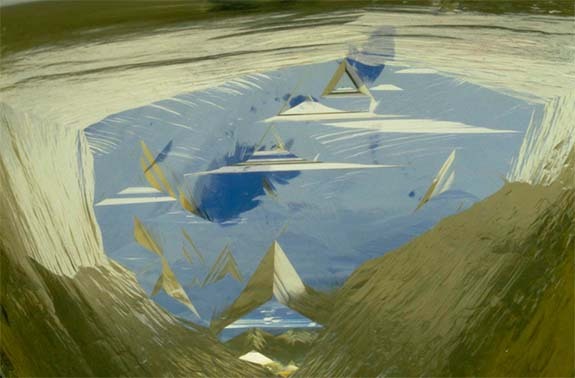 However, using the new technology, the gemologists mapped the maze of imperfections and plotted which cuts would yield the largest and highest-clarity diamonds possible. In the final analysis, they were able to surpass the 300-carat mark with a perfect 302.37-carat principal diamond. That same year, Graff had purchased the 373-carat rough diamond that was said to be a fractured chunk from the Lesedi La Rona. Having already studied the properties of the smaller chunk, Graff was ready to make a bid on the larger stone. In September of 2017, Graff secured the Lesedi La Rona for $53 million, $8 million less than the offer made at Sotheby's in 2016. 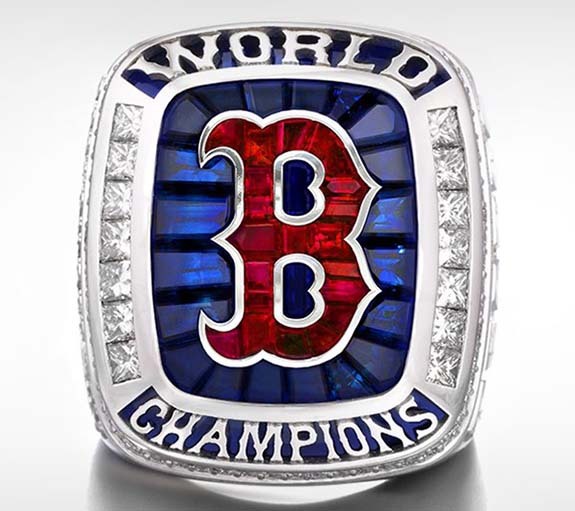 Graff reported that it took 18 months to complete the principal diamond. That included the initial cutting with precise lasers, followed by the shaping, faceting and polishing by Graff's skilled diamond artisans. 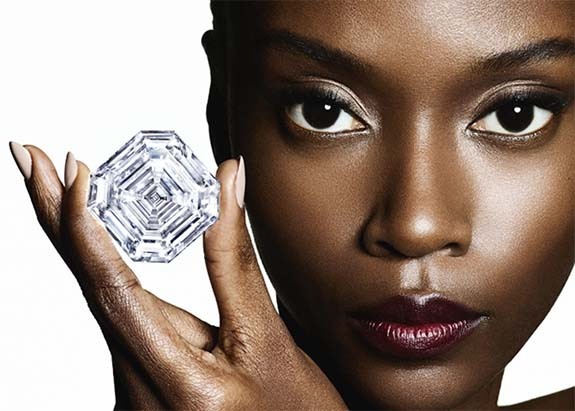 All the diamonds derived from the original rough stone have been laser inscribed with the identifier “Graff, Lesedi La Rona." 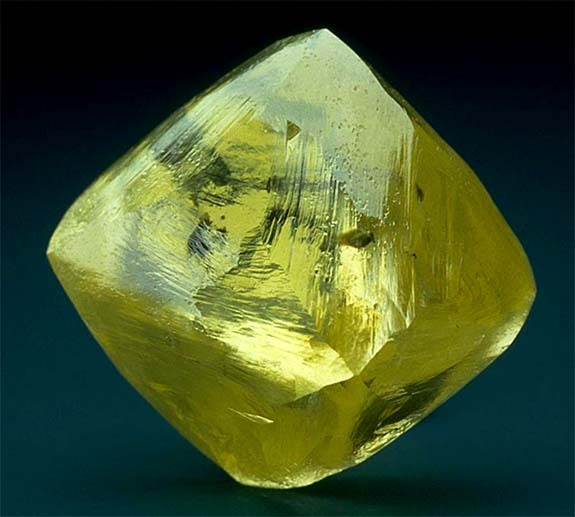 In honor of April's official birthstone, let's take a close-up look at one of the largest uncut yellow diamonds in the world. At 253.7 carats, the Oppenheimer Diamond is a nearly perfectly formed octahedron, a shape that's essentially an eight-sided double pyramid connected at the base. Vivid yellow diamonds are extraordinarily valuable. In May 2014, for example, the 100.09-carat Graff Vivid Yellow was sold for $16.3 million at Sotheby's. 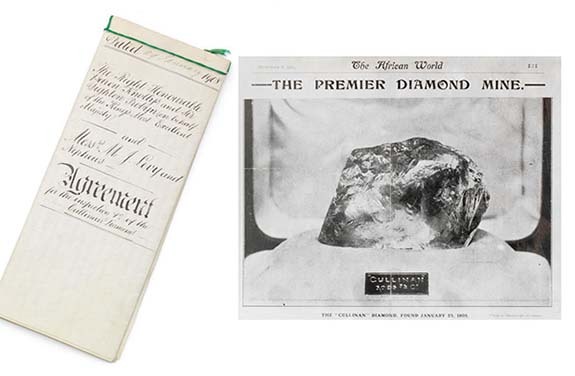 The original legal document that set the wheels in motion for the cutting of the 3,106-carat Cullinan — the world's largest rough diamond — will be offered to the highest bidder at Bonhams London on April 30. The auction house is estimating that the historic document will sell in the modest price range of $2,606 to $3,910. Signed on January 29, 1908, the nine-page agreement between the representatives of King Edward VII and M.J. Levy & Nephews mapped out the company's responsibilities during the cutting process. London-based broker M.J Levy & Nephews arranged for the diamond to be cut and polished by the renowned Asscher Company in Amsterdam, which had successfully cut the previously largest known diamond, the 995.2-carat Excelsior, five years earlier. 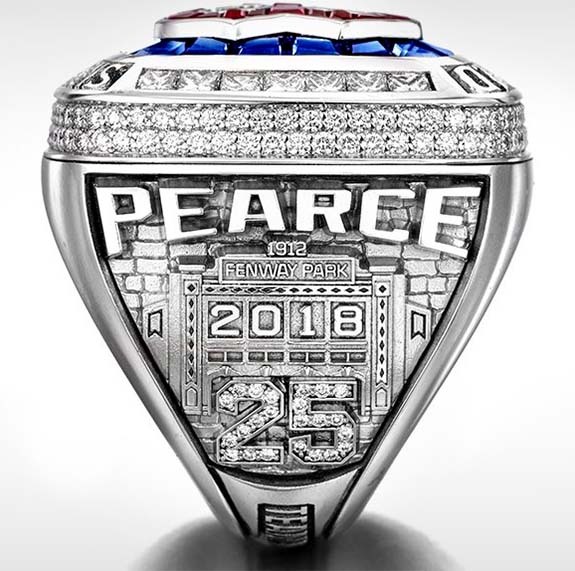 Included within the M.J. Levy & Nephews' document is a "principal agreement" between the Crown Nominees and the Asscher Company. That agreement outlined the cutting process and detailed how the Asscher Company would be compensated. Interestingly, the company was to be paid in "chippings" (diamond remnants) or the cash equivalent. In 1905, the astonishing discovery of the Cullinan diamond was made at the Premier Mine No. 2 near Pretoria, South Africa. The massive stone was named after the chairman of the mine, Thomas (later Sir Thomas) Cullinan. Having initially failed to find a buyer, the mine owners eventually sold the Cullinan to the South African Transvaal Colony government in 1907 for £150,000, which then presented it to King Edward VII on his 66th birthday as a symbol of South Africa's loyalty to the Crown. The King was advised that the Cullinan needed to be cleaved into smaller stones before it could be cut and polished. This was enormously complex and involved significant risk for a stone valued in 1908 at £250,000, more than £25 million ($32.6 million) today. The King hired M.J. Levy & Nephews to oversee the operation. At the time, insurance was taken out "against loss, theft and damage of every kind, excepting damage caused by cutting." 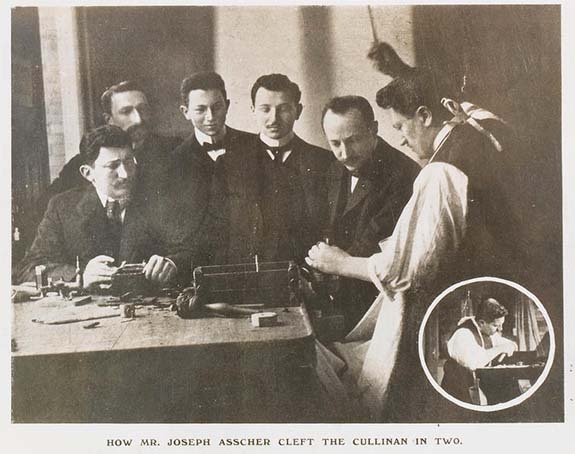 After an extensive period of studying the stone, Joseph Asscher started the cutting process by creating an incision in the diamond of approximately 6.5mm deep. It has been reported that Asscher broke his tool when he initially struck the stone. 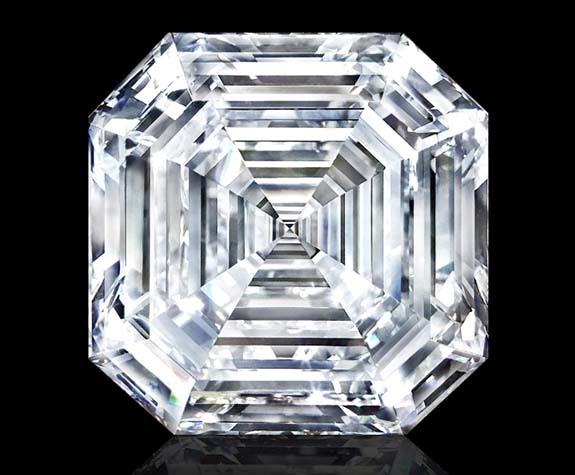 A week later, after developing stronger tools, Asscher successfully cleaved the the Cullinan into two principal parts, weighing 1,977 carats and 1,040 carats. It's been reported that the failed first attempt was done under the watch of a notable audience, while the second attempt was accomplished with nobody in the room, except for a Notary Public. 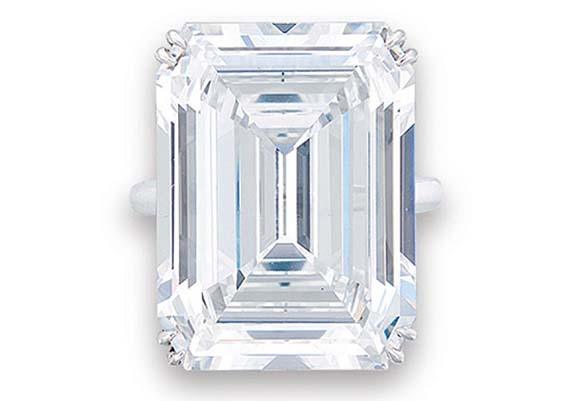 Legend has it that Asscher struck the diamond so hard that he fainted after it split. 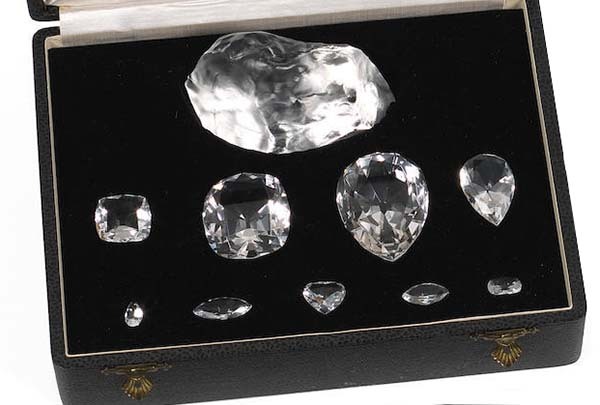 Over the following months, these diamonds were further polished and cut to create nine principal stones, 96 smaller diamonds and a quantity of polished "ends." Cullinan I and II are part of the collection of Crown Jewels and the remaining seven principal diamonds are in the collection of Queen Elizabeth II, after Her Majesty inherited them from her grandmother, Queen Mary, in 1953. The Bonhams lot includes the M.J. Levy & Nephews agreement as well as a replica of the Cullinan in its original rough crystal form and two replica sets of the nine principal diamonds from the uncut diamond. Credits: Images courtesy of Bonhams. 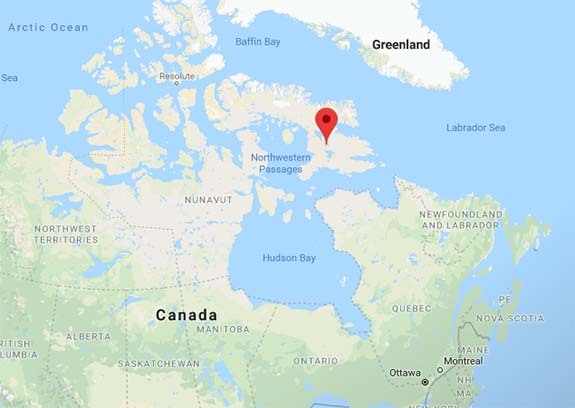 On Baffin Island in the Canadian Arctic, University of British Columbia researchers discovered deposits of cobalt-blue spinel in qualities that rival the finest in the world. 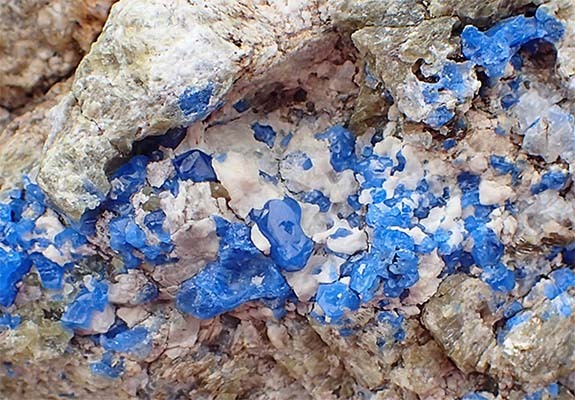 Researchers Philippe Belley and Lee Groat attributed the surprising find to the high levels of a "magic" ingredient present in the area — cobalt. Pure spinel is colorless, but impurities in its chemical structure give rise to a range of colors, from pink and red to purple and blue. Baffin Island spinel, the researchers found, contains up to 500 parts-per-million of cobalt, which gives it a vivid blue color — a color comparable to the highly coveted material found in Vietnam and the Himalayas. Spinel formed on Baffin Island from sedimentary deposits of dolomite-bearing limestones. These sedimentary rocks metamorphosed at temperatures of about 800º C (1,472º F) under immense pressure. “We found that cobalt was added at some point during sediment deposition or up to early metamorphism,” said Groat, a UBC mineralogist. The researchers noted that even small spinel crystals with good transparency and fine cobalt-blue color can sell for about 10 times the price of comparable sapphires. But supply is an issue, and even production from the most significant source, Vietnam, is limited and sporadic. The researchers explained that, despite the prevalence of hungry polar bears on Baffin Island, finding blue spinel there might be easier than exploring for the gem in the thick jungles of Vietnam or the challenging terrain of the Himalayas. Spinel, which in 2016 joined the official list of birthstones for the month of August, is famous for being the jewelry-industry's "great imposter." Before modern testing became available, deep red spinel was often mistaken for ruby. Credit: Image courtesy of Philippe Belley, UBC. Map via Google.